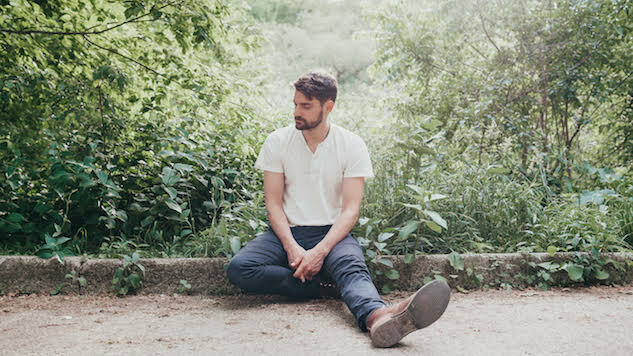 Daily Dose: Tim Baker, "All Hands"
Hey Rosetta! frontman Tim Baker is stepping out on his own with a solo album, Forever Overhead, arriving April 19 on Arts & Crafts. After 12 years and four albums, the seven-piece Canadian band announced they were calling it quits in 2017, and Baker turned his attention to writing Forever Overhead, his debut solo effort. The heartwarming video for the resounding second single, “All Hands,” is premiering today (April 10) here at Paste. Watch it below—we dare you not to smile. “All Hands” is a song about my past, about growing up in the west end of St. John’s, and knowing I’ll get back there someday. The title is an expression we use all the time there to refer to ‘everyone.’ And so for the video I wanted to see if I could show all of the people behind the song, behind the album, behind the “solo” Tim Baker—my everyone, so to speak. So it’s sort a montage of teachers, friends, family, colleagues, supporters—people that were instrumental in the making of the record, and the making of me. Of course we couldn’t actually fit everyone in exactly, but I went to five different cities over three weeks and got as many as I could. Again, you can watch the “All Hands” video below. Further down, hear Hey Rosetta!’s 2012 Daytrotter Session.